She’s about to drop Brave, an EP, after a year or so of jetting between Toronto, Vancouver and Nashville writing, playing showcases, and working on her music. 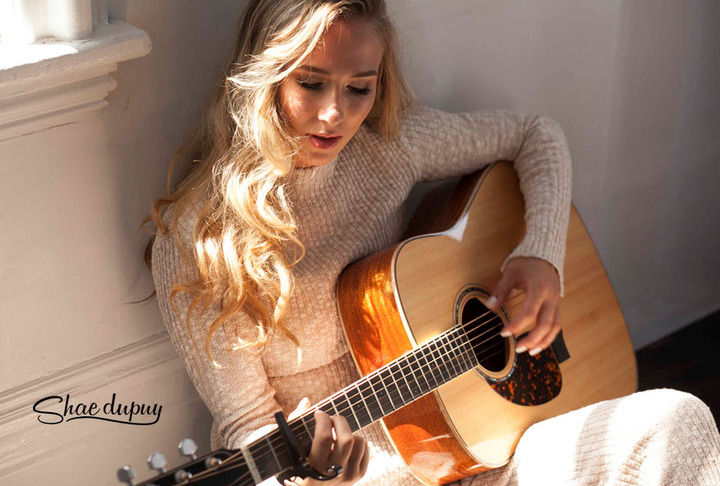 The new EP includes two singles she’s released over the last year – “Drink About It” and “Tin Man”, both of which snagged her nominations at the 2016 Country Music Association of Ontario (CMAO) Awards in the Rising Artist and Video of the Year categories. “Drink About It” was also a finalist in the 2016 Unsigned Only Music Competition. To the already released singles, she’s added five new tracks, all written in Nashville. Working with producer/writers Jeff Johnson (Dallas Smith, George Canyon, Wes Mack) and Jason Barry (Dean Brody, Terri Clark, Jason Blaine,) Shae focused on her voice and developing a distinctive style, one with a lot of expression and emotional vulnerability. The effect is reflected in the emotionally driven lyrics of the songs. So how does she keep that authentic feel to songs she’s singing over and over? “I’ve written all my own songs,” Shae explains. “I’ve learned to tap back into that mindset when I sing.” She also credits early training in acting. “I went to an art school for the first two years of high school,” she adds. Shae credits her grandfather, a naturally talented musician, as her earliest influence growing up in Kamloops, British Columbia. “He played a lot of instruments,” she says. “I listened to a lot of country. It was always on when I was growing up,” she adds, naming artists like Shania Twain and Jewel as personal influences. A year ago, Shae was CMT’s “October Fresh Face Featured Artist” — now her second EP is about to drop on October 28th. Pre-order on iTunes HERE and check out Shae’s Website, Instagram, Facebook and Twitter.